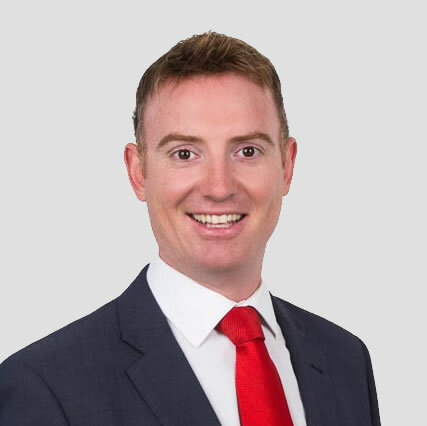 A local resident of Sydney’s Northern Beaches, Cameron brings to Hunter James an abundance of investing experience and knowledge of Sydney’s residential property market and truly embodies the proactive and strategic approach to investing that sets Hunter James apart. A highly driven and seasoned portfolio investor himself, Cameron identified at an early age the prominence of property as the dominant asset class of the wealthy within the BRW Rich list, and ever since has developed his inherent research and negotiation skills within all facets of property acquisition to the considerable advantage of his clients. Cameron has a truly genuine personality, and enjoys nothing more than sharing his vast knowledge with others and seeing them succeed. At Hunter James we love what we do and are always here to help. So if you’re looking for that perfect home or investment property or just want to talk property, then we’d love to chat. Join our community of savvy home buyers and investors now and receive all the above and more direct to your inbox. We’re proud to represent the highest industry standards on ethics and integrity, ensuring your best interests are always at the forefront of each and every decision. Real Estate Institute NSW - Buyers Agent Chapter Committee Board Member. Real Estate Buyers Agents Association of Australia – Leading Buyers Advocate Guild. Property Investment Professionals of Australia – Peak Investment Body. Certified Negotiation Expert – Identified and accredited with being within the top 1% of property negotiators internationally. Intersted in working at Hunter James?